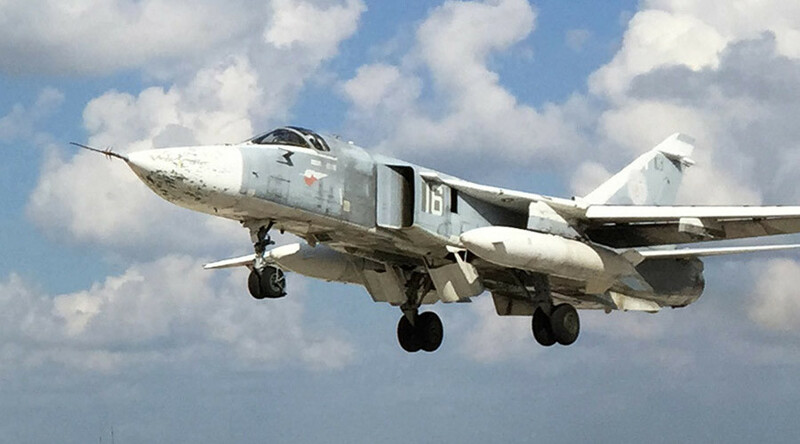 Confrontation grows between Moscow and Ankara, as Turkey refuses to apologize for shooting down a Russian Su-24 bomber jet on its border with Syria on Tuesday. The Russian government may increase the number of banned Turkish goods and impose other restrictive measures, Prime Minister Dmitry Medvedev said. “I point out once again that these are our retaliatory and forced actions, which we are taking just to ensure security of our people and to react on the aggressive Turkish behavior. That is our response to these unfriendly actions [of Turkey],” he said. Turkish Prime Minister Ahmet Davutoglu said Ankara is ready for open discussion with Moscow about the incident with the downed Russian plane. It is also ready to provide Russia with all technical details of the incident. He also said Turkey would not apologize for the incident. “Border defense is not just a Turkish right, it is a duty of the state I head. This is one of the key responsibilities of the government. That is why nobody should wait for our apologies for defense of our airspace,” the PM said after the meeting with the NATO General-Secretary Jens Stoltenberg. 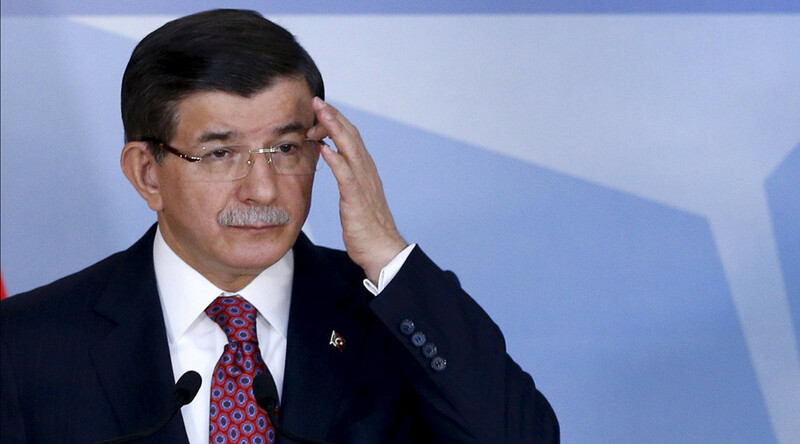 Russia was informed about the principles of Turkish airspace defense three times before the incident, Davutoglu added. Russia will press for including the militant group responsible for killing the pilot of the downed Russian bomber in the official list of terrorist groups, which is due to be compiled by the International Syria Support Group and later approved by the UN Security Council, Russian Foreign Minister Sergey Lavrov said. The militants that killed a Russian marine during the rescue operation to save the other pilot should also be added to that list, Lavrov added. Lavrov also accused Turkey of “establishing a flow of militants in different directions” and refusing to share info on Russian citizens in Turkey suspected of involvement in terrorist activities. “This year, Russia requested information about its citizens detained in Turkey on suspicion of terrorist activities. And all requests went without response,” the Russian foreign minister said. Russia has decided to suspend visa-free travel with Turkey from January 1, 2016, in response to the recent downing of Russia’s Su-24 bomber by the Turkish Air Force, Russian Foreign Minister Sergey Lavrov announced during a press conference after talks with his Syrian counterpart Walid Muallem in Moscow. “We have decided to suspend the visa-free regime between Russia and Turkey. This decision will come into force on January 1,” the minister said. Russia’s top diplomat said suspending visa-free travel between Russia and Turkey was “not an empty threat but a real warning." Russia's defense ministry has posted a video of its sophisticated S-400 SAM going on patrol at its airbase, near Latakia. With a 250 km range, it will cover the flight paths of most Russian planes operating in Syria. Vladimir Putin says Russia would have deployed its S-400 anti-aircraft defense systems "a long time ago" if it realized its planes were under threat. "It didn't enter our heads that we could be attacked by a country we considered our ally," the Russian president said after talks with his French counterpart Francois Hollande in Moscow. The Russian Defense Ministry has said that all channels of military cooperation with Turkey were suspended on Thursday, including a hotline set up to share information about Russian air strikes in Syria. Moscow has also recalled its military representative from Turkey. “Today, in accordance with the decision taken earlier, all channels of cooperation between the Russian Defense Ministry and the armed forces of Turkey were suspended,” said ministry spokesman General-Major Igor Konashenkov. Russia's foreign ministry representative Maria Zakharova has derided the audio recording in which Turkish ground control purportedly warns Russia's plane that it will cross the border as a fake. "The internet is full of recordings, some very interesting, others very funny... How long did it take to edit together this masterpiece? Several days? Well, it's value is clear now," the official said during a press briefing in Moscow.